We are launching the Medical Student Guest Author Internship (MSGAI) program for Medicowesome this month! 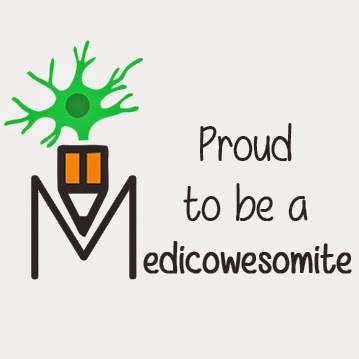 For this project, I am not only asking people to write mnemonics and posts but also mentoring student authors who are interested in medical education. It's basically a small program on how to compile ideas and make them presentable. Writing and teaching has also made me a better student (and helped with my grades!) so I will be giving a little guidance on that as well. Do we have time constraints? Not really, but I prefer that you complete your first project within 2 weeks of joining so you can learn as much as you can from me (before I get super busy again). I am not sure but I will be your guide for at least 8 weeks if not more. I can write on any topic that I want? Yes! Anything related to medicine! It depends on what you really want to learn - writing, making videos, learning about creating blogs, etc. You have to let your mentor know what you want to learn. From everyone! You will be a part of the MSGAI group with other MSGAs (Medical Student Guest Authors). Though most of the mentor-ship will be on a one to one basis, this group is for discussing common ideas and sharing things that we've learnt with others. PS: At the end of the project, if you enjoy being a guest author and you wish to continue with us, you're always welcome to join the team and be a permanent author. Due to time constraints I may not be able to accommodate everyone but I'll try my best! PS: We changed the name to Medicowesome Student Guest Author Internship because this program is open to dental students, pharmacy students and other paramedics.